What are two things everyone loves? Pizza and grilling in warm weather. Well, everyone, you are in luck. The Pizzacraft PizzaQue is on sale for 46% off. The weather is getting warmer and everyone is ready to start grilling their favorite foods. Pizza should be one of them. 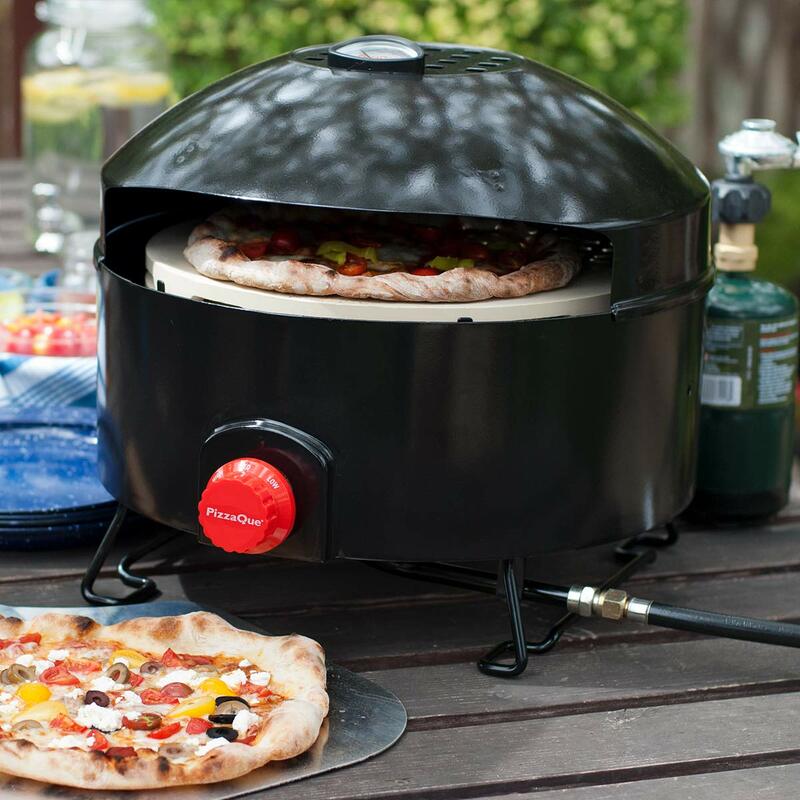 This outdoor pizza oven/grill preheats in 15 minutes and cooks your pizza in only 6 minutes. It will cook your pizza evenly and the dome-shape prevents any sogginess from ruining your ooey, gooey, cheesy pizza. It’s the perfect time to buy it, besides the sale of course. During Lent, my family always struggles with meal ideas for Friday nights since we can’t eat meat. Often we’ll bake fish in the oven or something, because we wouldn’t want to spend the money on pizza. This provides an outstanding compromise. We can eat our pizza and not spend the ridiculous amount for delivery fees and greasy food. This pizza will taste even better than your go-to pizza shop. You can top your pizza any way you want and there’s no one to tell you can’t. If someone in your family doesn’t want pineapple on their pizza, they can make a separate pizza all for themselves. Usually $279.99, the Pizzacraft PizzaQue is on sale now for $149.99. It is practical and easy to use. The PizzaQue is even portable: you can be the hit of the party, even when you’re not hosting! Just bring the PizzaQue with you, and make pizzas for everyone. They’re selling quickly, though – make sure to buy yours today!